It’s this desire to bring entrepreneurship in-house that has seen general manager of Australian Unity’s private health insurance group, Natalie Vogel, kickstart an innovation program based on lean principles that is now gaining significant traction across the organisation. Australian Unity maintains three key divisions within its healthcare business: Private health insurance (Retail Fund); a corporate funds arm, Grand United Health; and remedy and allied health services (Remedy Healthcare). All report to CEO of healthcare, Amanda Hagen. Vogel has spent the last nine years with Australian Unity, firstly in marketing and for the past four years overseeing the private health insurance business including marketing, communications, channel management, call centre operations, sales and service, digital, products and P&L. In the last two years, Vogel has focused on introducing an internal innovation infrastructure and new techniques to change the way her division thinks about products for its customers. The ultimate ambition is to create a culture of ‘intrepreneurship’ inside Australian Unity. The innovation effort kicked off in Vogel’s division with the support of Australian Unity’s healthcare CEO. Having defined Retail Fund as more of a challenger brand, Vogel said she’d always been interested and inspired by challenger approaches and techniques. “Being a challenger brand means we must think about our customers constantly and do things differently, not just copy the big fish,” she said. Recent government legislative changes to healthcare rebates and means testing has exacerbated paint points around affordability and complexity, Vogel said, as well as potentially alienated younger customers. All of this has led to a ‘what will you do for me attitude’ from consumers, she said. In order to cope, Vogel felt it was time to start employing lean principles. “There’s a new definition of failure and that’s building products nobody wants,” she explained. “It’s about challenging how we go about doing our business - how we launch products, and how we bring customers much closer to the beginning of the process, than at the end. “This also challenges old-fashioned customer research techniques into an insight on customer intentions. What customers say about what they’re going to do is very different to what they actually do, and using that insight to help understand that research will just tell you what they do and don’t like. Research might tell you they have those opinions and mean them in the moment, but when it comes to translating into actual purchases, they do something quite different or that’s irrational. Vogel said getting lean methodologies off the ground was arguably easier for Australian Unity because it is small enough to get things done quickly, but big enough to have the resources to support new initiatives. In addition, strong relationships maintained across the executive team, including with the CEO, has helped provide the trust needed for change to occur. “There are all sorts of avenues open to me wearing a marketer or GM’s hat, but we do things for the good of consumers and that have long-term sustainability,” Vogel continued. “We won’t slash prices to grow topline revenue, and that also requires a different way of thinking. The first step towards lean was commissioning people to lead the charge, taking them out of their jobs and setting up an area internally to drive the new innovation agenda. Australian Unity also recruited innovation champions from across the healthcare business, and invested in an innovation manager. A core change has been bringing consumers in at the beginning of the innovation process, as well as producing minimum viable products (MVP). There have been plenty of teething problems, ranging from getting the right capability, to ensuring people understand culturally that it’s about doing things differently, and sourcing expertise in MVP testing and how to do experiments, Vogel said. “It’s so hard to know that you’re doing testing properly,” she said. “The idea is that innovation is change that adds value, and that’s quite a scientific process. It sounds creative and out there, but actually it’s very disciplined. The steepest learning curve for Australian Unity was around experimenting and embracing the concept of MVP. Vogel said its ambition is to reduce product launches from a six-month process to a few weeks. It’s not enough to just take up lean principles; you have to be transparent and share the failures as well as successes along the way. In this example, Vogel said the team had tried to create an adjacent product to sit alongside its private health insurance products and got it wrong – consumers didn’t buy it. “We have made a big ceremony of killing it – we might pivot, but got it wrong the first thing, therefore we won’t invest more time and effort on it, we’ll look to do other things with greater opportunity and that resonate with consumers,” she said. “The other part of this, which is difficult to do, is to have enough objectivity to not be in love with your own ideas. Traditionally, the more senior you are, the more you trust your instincts, because you’ve got a good vibe on something. But lean requires you to stand back and let consumers decide, the data tells me what to do. According to Vogel, selling the new innovation methodology to the group MD and board was not difficult given their familiarity with consumer pain points across the health insurance category. Lean was recognised as a new way of achieving sustainable growth. It’s also a reflection of how empowered consumers are. “It’s not such a big investment if you fail lean. You need time, and the buy-in of executive teams, but it’s not like you’re asking for tens of millions of dollars,” she pointed out. “You need to position this as a technique that allows customers to decide and to enable the organisation to move quickly. It’s a very enabling business strategy. That spoke for itself in terms of logic and is on trend with helping consumers feel they are making a choice. For Vogel, modern innovation requires resilience, an ability to shift your mindset quickly onto something else, and a great respect for the customer. Australian Unity’s lean-based innovation approach officially debuted in February 2015. 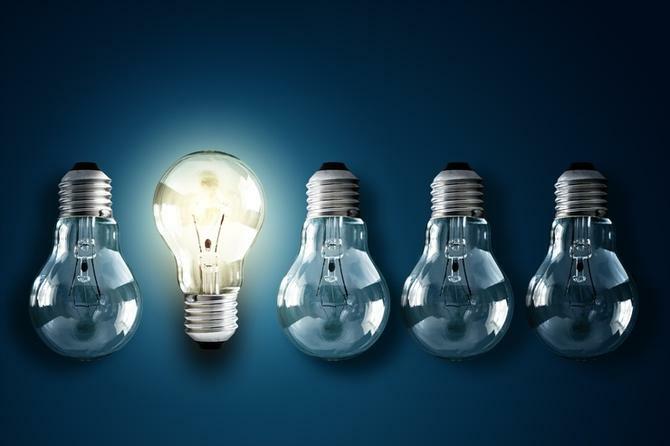 Although she’s yet to see one of these ideas disrupt the business, Vogel said the culture of innovation it inspires is already permeating the organisation.